Katie is our first home bred champion. 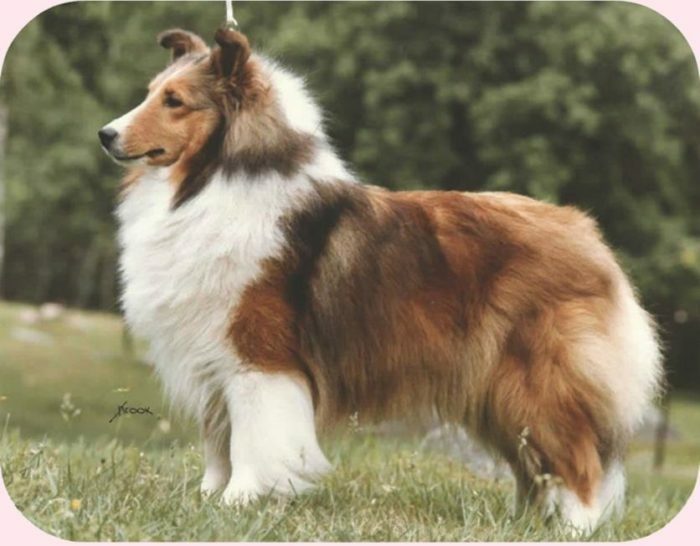 She finished her championship in a few short weeks with wins of Best Of Breed over other champions, as well as Group 1 and Group 4. She then went on to win the 1988 ASSA Breeders Award by going Winners and Best Of Winners with handler Stephen W. Barger at the largest National ever held in Virgina Beach. Katie then came home and took Winners at the Ladies Kennel Club Show under judge Adrian Tiemann to complete her title.